Lisa McLin is a servant leader who strives to elevate others. 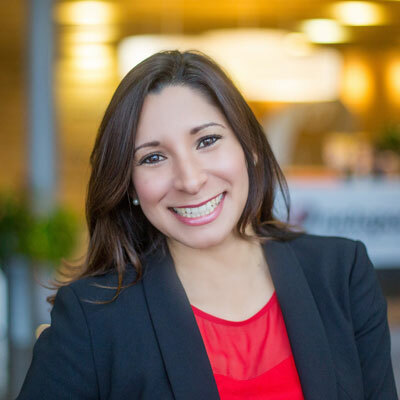 Her high-performing sales teams operate with a customer-first mentality that in turn delivers the most consistent results at Rackspace. Lisa believes that celebration and passion unify teams and sees her leadership role as an opportunity to give back to others and to greater Rackspace. Lisa began her journey at Rackspace in 2002 and held leadership roles in Accounting, Customer Service, Business Consulting and Sales. In 2013, she spearheaded a yearlong Sales Organization Transformation project in conjunction with a third-party consultancy. This effort, commissioned by Rackspace's Chief Revenue Officer, organized sales resources against the rapidly growing Rackspace portfolio and mitigated complexity in the sales process for customers of all sizes: SMB, MM and Enterprise. Lisa went on to lead Rackspace's largest customer sales segment: SMB and Mid-Market. There she scaled her deep expertise in strategic sales, service delivery, and business management across her organization and drove wildly successful customer outcomes. Today, Lisa leads Rackspace Channel Sales & Alliances. She understands the value of strategic Alliance relationships and knows that only through true partnership, can Rackspace serve the next generation of IT and grow to its full potential. I reset strategy to create a Partner first focusing on Cloud enablement and expanding fanatical support through the Channel. I've also reset Go-To market strategy around Partners working with Partners to drive revenue for all. I championed the launch of new tools to serve Partners in delivering a strong partnership with analytics and Business Intelligence. Lisa has been key in leading Rackspace in building a Channel Program for Technology-as-a-Service future. I am focusing on creating a fanatical channel program that serves our partners through a structured program delivering tools, business intelligence, and a multi-cloud enablement program allowing Partners and Rackspace to expand our reach in the market. Delivering technology-as-a-service with and through partners is key to joint growth. Rackspace can serve Partners through Digital Transformation, Rackspace Application Services, Cloud Transformation and Security as a service. Professionally, I won the Fastest Growing Provider with Intellisys for 2017 in was involved in Rackspace being named a Top Company for Hispanic Woman. I will be named a CRN Channel Chief in 2018. Personally, I was invited to speak at Google's Women in Leadership Tech Roundup in September 2017. I was also named in the 100 People You Don't Know But Should 2017. I was named Executive Sponsor for Rackspace Resource Group, POWER (Professional Organization of Women Empowered at Rackspace). Oprah Winfrey is someone I admire for her positive attitude, servant heart and continual focus on self-advancement and continual learning. Oprah had a difficult start but focused on what she could be, but on where she started. A self-made successful woman, Oprah built an empire but remains humble, serves others and uses her brand to create happiness for others. Dreams do come true! At 16 years old I worked hard on my studies, sports and dreamt of being the first generation to graduate from a 4-year higher education. I didn't know how I would pay for my higher education and stressed over it. My advice to that girl is don't stress on the how, focus on what end result you want to create. Your natural ability will guide you. I would like to master deeper technical acumen than I have today. This is something I am interested in and it allows me to have continual training as technology is always changing. Flight of the Buffalo by James Belasco & Ralph Stayer A leadership model to help organizations stop operating like buffalo and start "flying" like responsible, interdependent geese. The process, called Leading the Journey, is based on the leadership principles of determining focus and direction, removing the obstacles, developing ownership, and stimulating self-directed action. There is a new reality that the principal tools of production are not machinery, or equipment, but rather the ideas and talents of your people. If leaders want employees to act as if the company is theirs, they must modify systems in order to make it theirs.